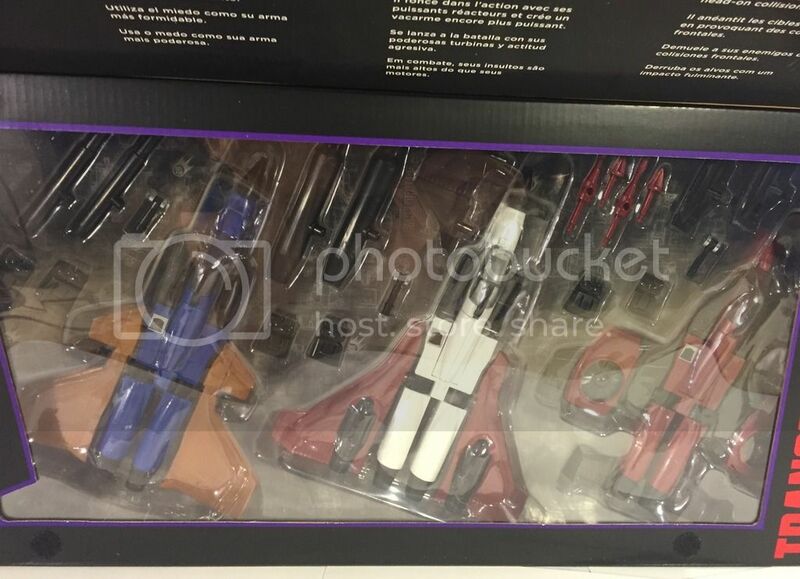 Hasbro has just sent us over official images of the Platinum Edition Seeker Squadron! 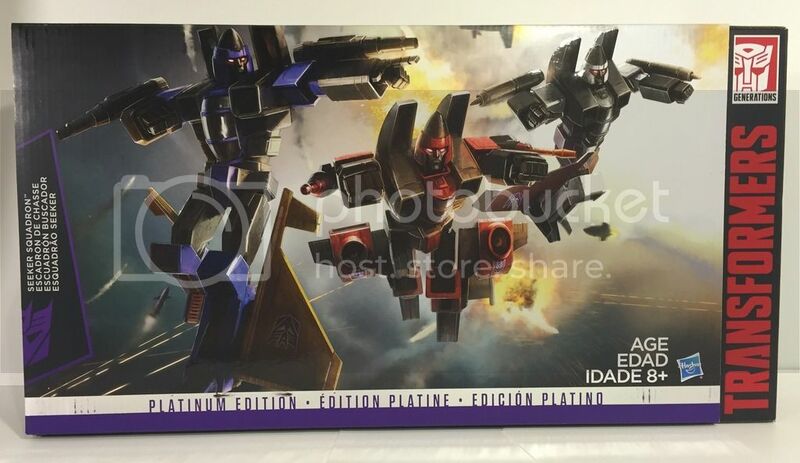 This set, available at Target this august, will feature the three Conehead Seekers from Generation 1: Dirge, Ramjet, and Thurst! I fold them down too. Me three. I used to do that as a kid to mimic the box art for the conehead seekers. I didn't realize that the coneheads had their heads pointed up until I saw the Season 2 cartoon years later. I still prefer them to have their cones folded down just like the first trio of seekers. The UK rarely gets any Love from Hasbro. It's to make up for all the love they got in the G1 era with Tunderclash, Action master Elites, Predators and most of all Overlord. 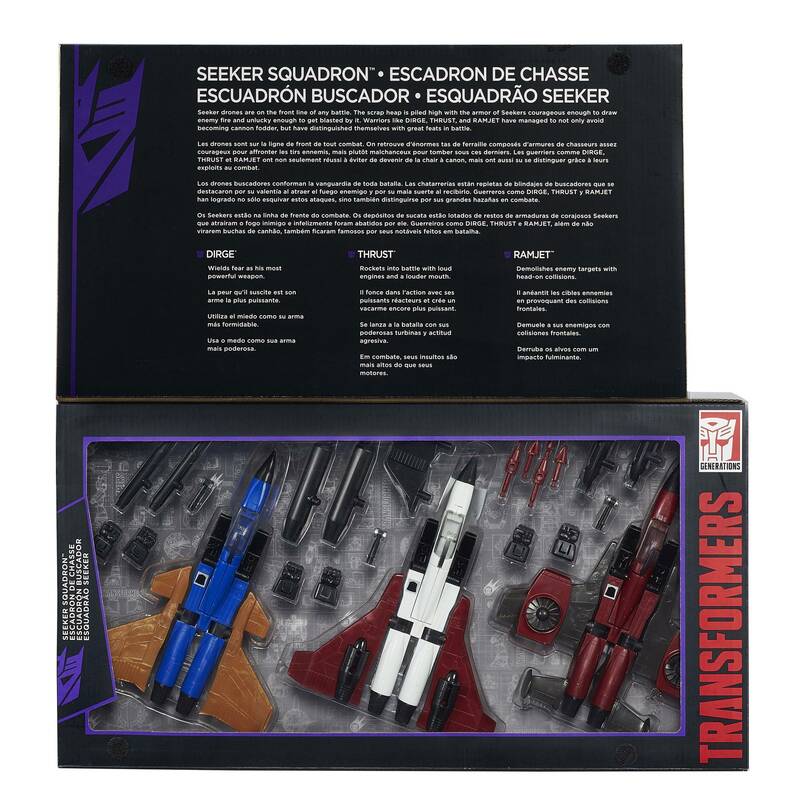 Thrust didn't get reissued either – it was just Dirge, so this set is definitely overdue for all us G1 fans – unfortunately, being in the UK, I doubt this will be coming to shops here… thank goodness for online sellers. 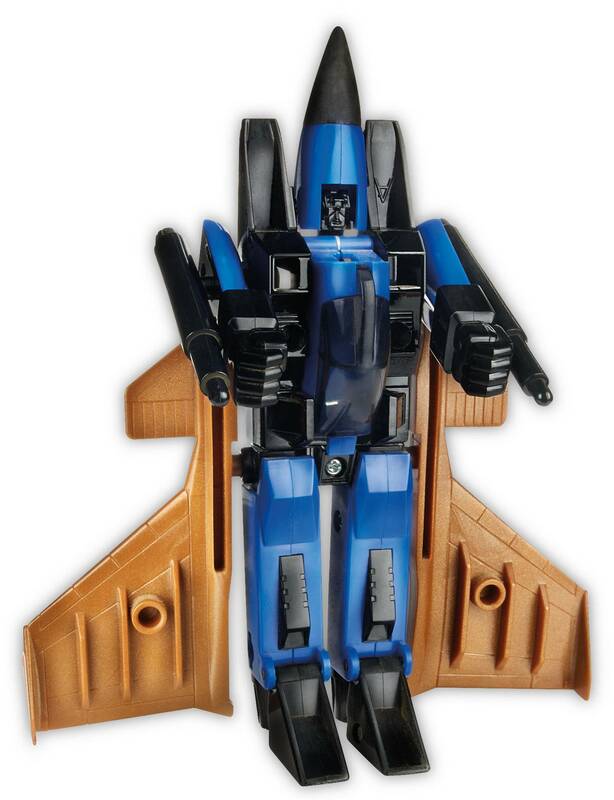 All three of the classic Conehead seekers were released in the U.S. As for these, the Coneheads weren't reissued in the states since the Toys R Us Commemoratives in maybe 2004, where Ramjet never got reissued. So I'm happy they did, and as a nice set. What's your goto place? Trypticon is out? What was the price? Available in store here :::??????? ::: for NT$1839. No they're smaller than the MP jets. I guess they're a little smaller than Voyager size? I haven't taken mine out of package yet so I don't have any comparison pics. 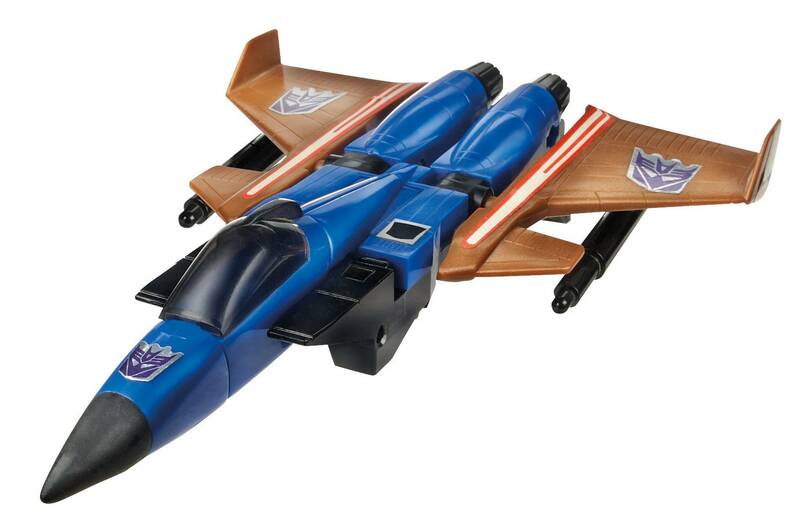 If you mean Starscream, Thundercracker, and Skywarp, then no, it's just the three "coneheads" for now. D'oh, yes, that's what I meant, no idea why I said G1 ones! Nice price for this trio! I have to.ask, am I the only one who folds the cone down in robot mode? I know they're supposed to have it up, hence the name cone heads, but I never liked it on the toys, I only had thrust growing up out of any of the seekers but he always had the cone down. No, only Dirge has been reissued. 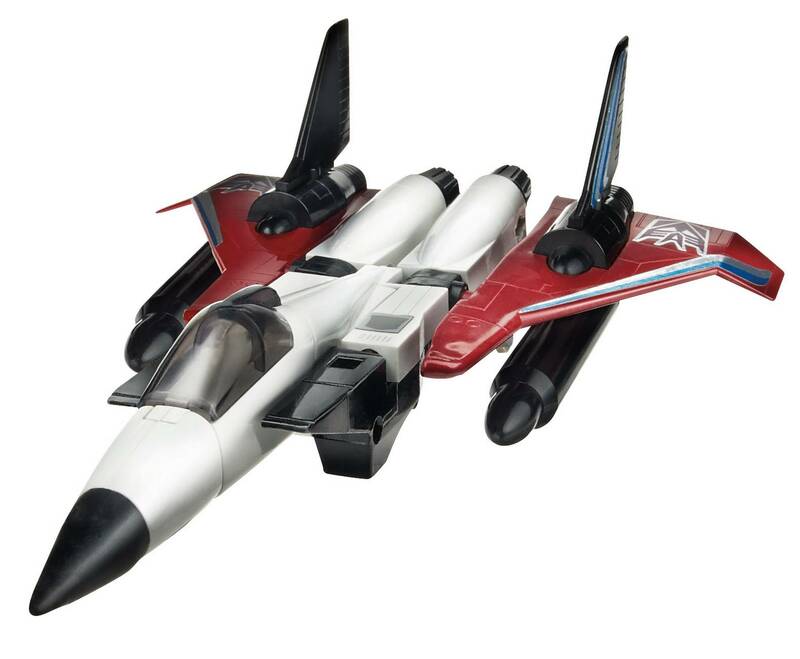 Ramjet and Thrust, if I recall were going to be but were canceled when the Commemorative Line was. 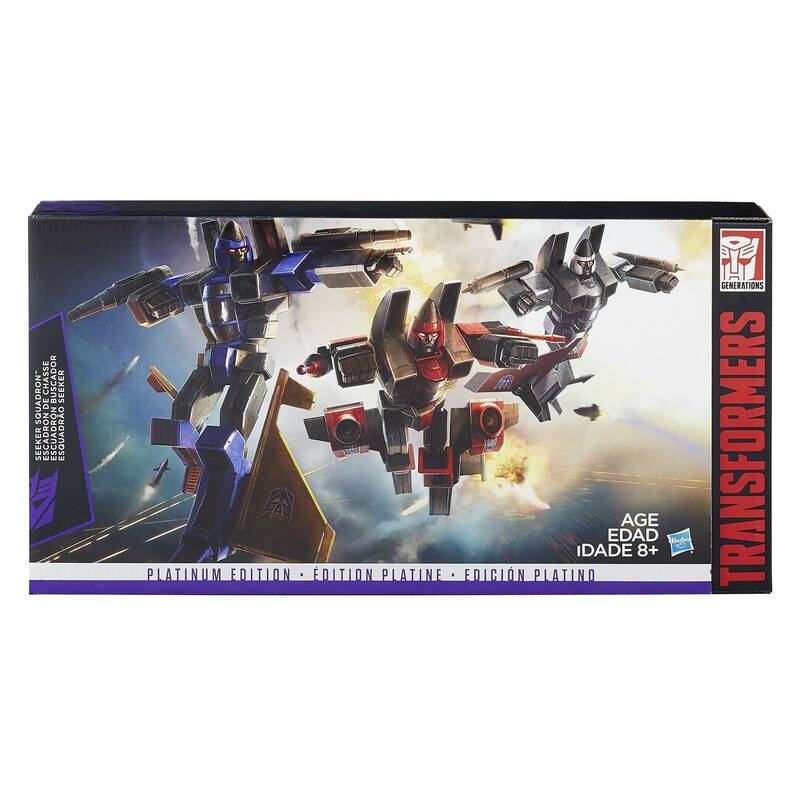 That is correct, the only reissues of G1 Thrust and Ramjet that were released were by Takara, and they were expensive exclusives. 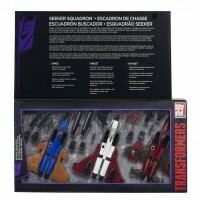 I ended up getting the Thrust reissue, but could never find the Ramjet for a good deal. This box set of all 3 is less than what I paid for Thrust by himself over 10 years ago. Although, the exchange rate wasn't as favorable back then as it is now. Any idea if they will be doing the g1 seekers too? I know they released the classics mold again but I want the real deal! Thurst, eh? Not familiar with him. Is he a rainmaker? This set is killing me, especially at the $70 shipped price. Over the last 2 years I have been seriously downsizing my collection. I used to have all 6 original G1 seekers but have since sold off 5 of them. Now I only have the G1 Starscream reissue reppin' the 84 Seekers and G1 Ramjet for the coneheads. I was not expecting them to release them as Target Exclusives. Not sure If want though. Been sitting on just the old TRU reissue of Dirge for years, now I'll finally have a complete set! This. 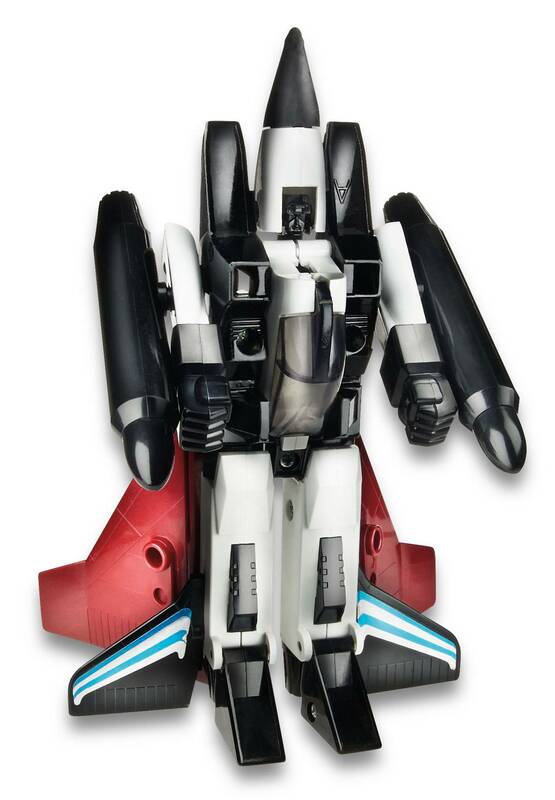 Ramjet and Thrust were the last two I needed as well. I glady paid the full price when Target posted them and it was well worth it to finally have a full set of G1 seekers…and Sunstorm. Now I have an extra Dirge. 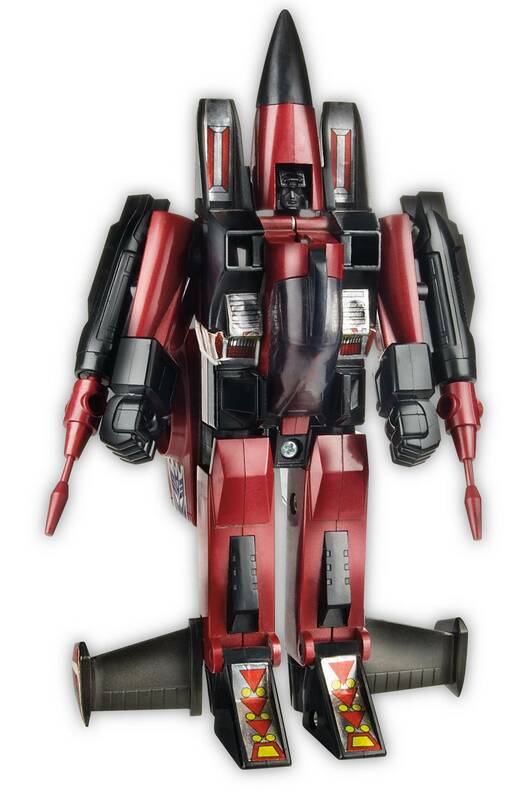 (MISB TRU reissue).